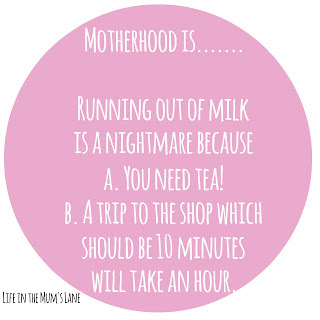 Running out of milk is a nightmare because a. You need tea! b. 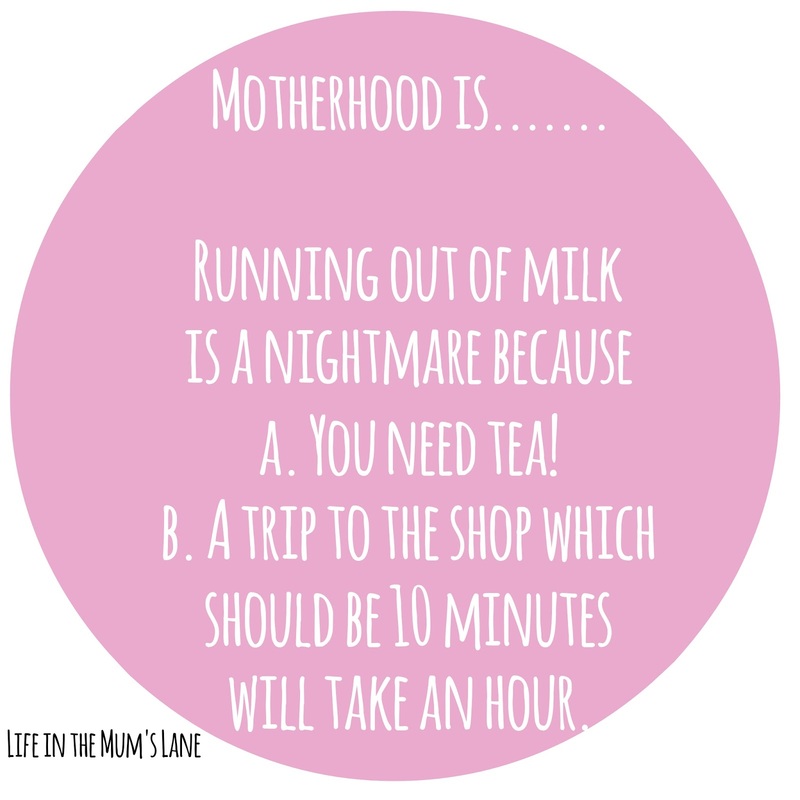 A trip to the shop which should be 10 minutes will take an hour. Being the only one to put loo roll in the bathroom or know where its kept. Thinking baking will be a fun activity but then remembering why you usually just buy ready made. The mess. The stress. The strange burning smell. Wondering why you thought swimming lessons was a good idea when you have to rush around like a loon! Being excited if you find a nice toilet on your travels. I honestly should write a best toilet facilities book. Never sleeping properly ever again!